In this tutorial we are going to discuss how to display loading spinner overlay animation effect in react native application. You may have seen this kind of loading spinner overlay animation effect in various app like Flipkart, Amazon, Myntra, Snapdeal etc. 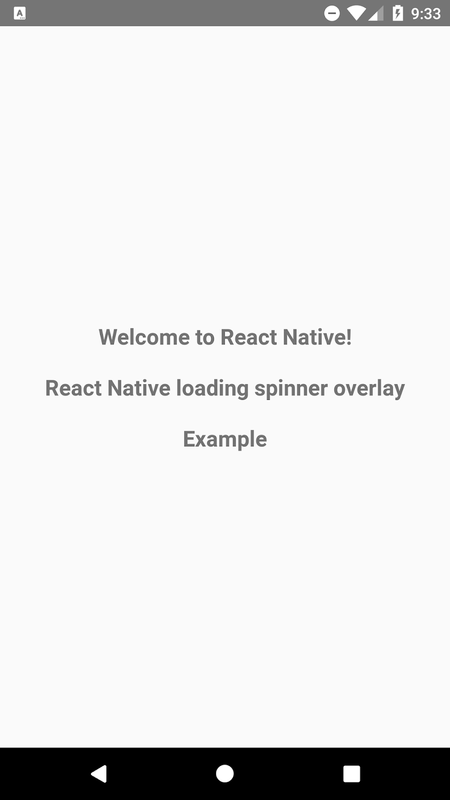 We will use the react-native-loading-spinner-overlay library to make an overlay Loading animation effect. This is basically used to block the screen while the application is doing some work like fetching data from the server or processing any big data which needs some resources. In this example we are going to create simple loading spinner overlay animation effect, with help of that you can perform background service and task. Step 2 : Install the install react-native-loading-spinner-overlay package in your React Native project. Refer the below screenshot, while installing react loading spinner overlay package. Once installation complete check you package.json file in react native application. You will find React Native Loading Spinner Overlay package installed in dependencies section. Step 5: Open App.js component and define the state object, in which set the spinner attribute to false initially. Step 6: Update the spinner state object at very 5 seconds with the help of componentDidMount function lifecycle hook. Step 7: Open App.js component and and Implement render method. The render method returns Spinner and Text component wrapped by root View component. Step 8 : Apply the below style sheet design. 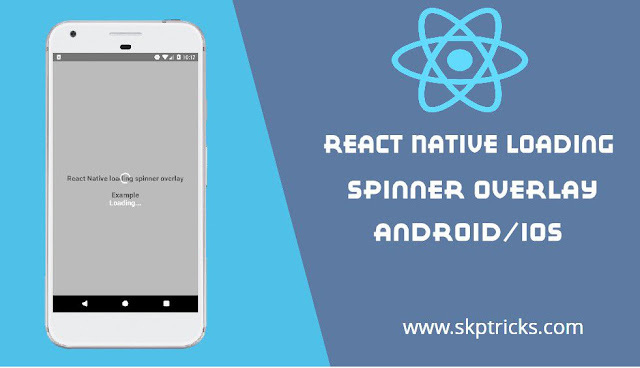 Lets see the complete source code that helps to create simple loading spinner overlay animation effect in react native application, with help of that you can perform background service, asynchronous request and some other task. 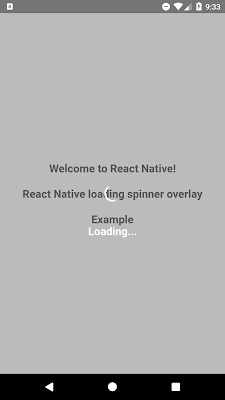 This is all about react native loading spinner overlay animation effect example. Thank you for reading this article, and if you have any problem, have a another better useful solution about this article, please write message in the comment section.